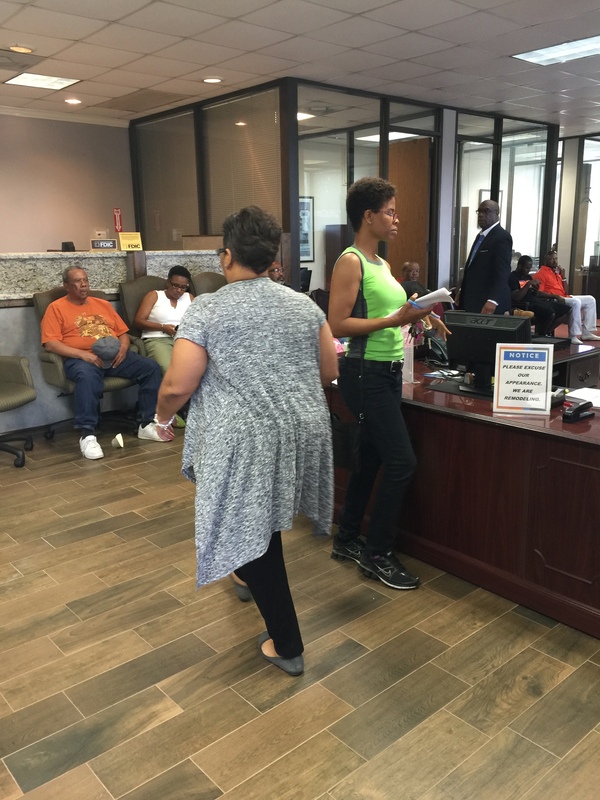 The #BankBlack movement maybe moving, but quite simply it is not moving fast enough. 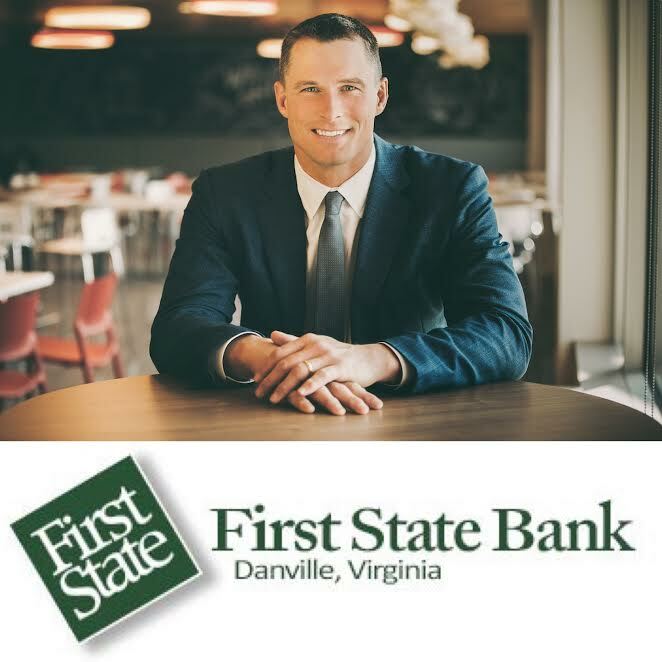 After almost 100 years in business, First State Bank, the last African American owned bank in Virginia, has sold the majority of its ownership to Casey Crawford, CEO & Founder of Movement Mortgage (pictured above). The sell reduces the number of African American owned banks to 19 and represents an almost 20 percent decrease in the number of African American owned banks lost in the past two and half years. It has been seen that with the absence of African American owned banks and credit unions comes much predatory behavior to the community. Banks like Wells Fargo and Citigroup have paid hundreds of millions for their behavior and payday loans are as rampant as ants at a picnic within the community. Since desegregation, African American institutions from neighborhoods to businesses and even schools that were inherent to the interest of African America have been in a struggle to stem the tide of a collapsing institutional fabric. As recently as the early 1990s there were over 50 African American owned banks in the United States. First State Bank’s sale removes $32.9 million in assets from African America’s financial hold. 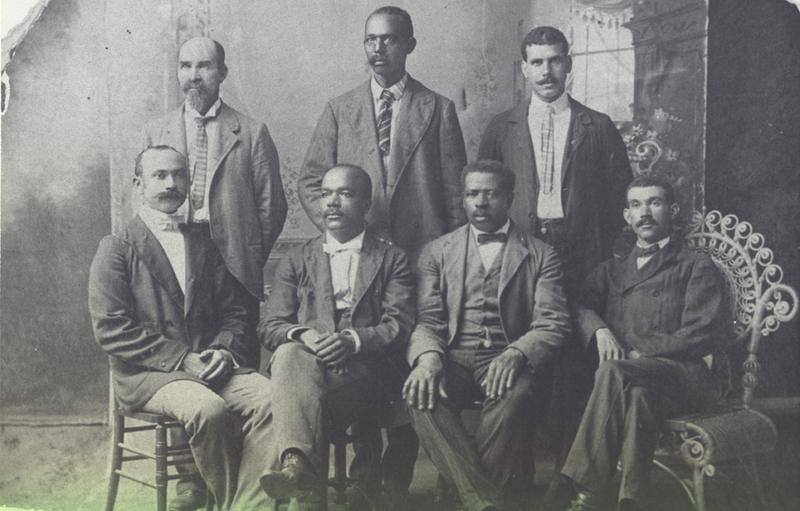 Key states absent of an African American owned bank were already Florida, Mississippi, New York, and Ohio all of which have major African American populations. Now, add Virginia to that list which is a key state down the I-95 corridor and proximity to the nation’s capital. The loss of First State Bank truly echoes tears of frustration as Virginia was the home of Madam C.J. Walker’s St. Luke Penny Savings Bank, which she chartered in 1901 making her the first African American woman to charter and preside over a bank. Now, there are none in the state 116 years later. Is this what we call progress? 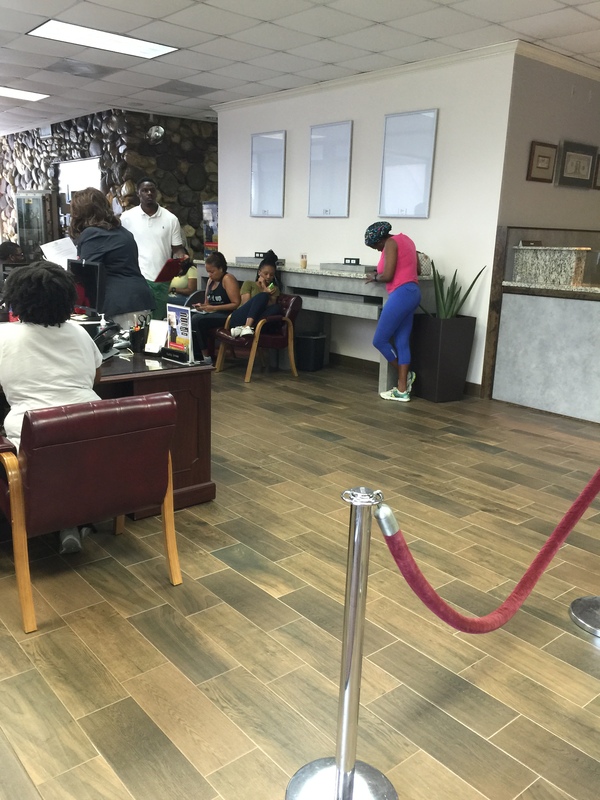 There has not been a new African American owned bank opened in seventeen years since Alamerica Bank was opened in Alabama. The #BankBlack movement is simply not enough if African American institutions like HBCUs, businesses, fraternal organizations, and the like are not willing to move their deposits into them. A harsh reality is that lending to the African American community is risky. We have lower median incomes, less assets, and more volatile working lives. The chance that we could become unemployed is a much higher probability than other Americans, therefore our banks are always at more risk for loan default from us. They need even more reserves than banks like JP Morgan and company who are being required to hold more because of their systemic importance. Our banks must look at themselves in the same light, they are systemic to our community’s financial health. If not, the candlelight of opportunity is going to quickly fade away into darkness when African America truly has no place to turn for its own financial well being. 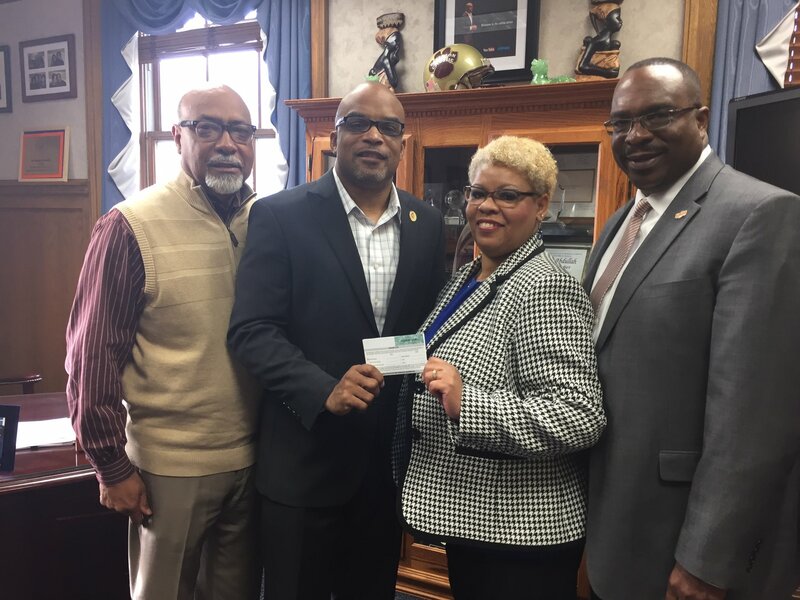 First State Bank closing is more than just 100 years of financial stability to southeast Virginia’s African American community, it is another nail in the coffin of African American institutionalism which we so desperately need to revive. This means that within the last seven months as of January, $420 million in assets have been wiped from African American owned bank balance sheets. An amount that is equal to ten percent of all remaining African American owned bank assets. For perspective, US banks in total have approximately $15.3 trillion in assets. The loss of $1.5 trillion is an amount twice the initial size of the US bank bailout from the Great Recession. In other words, this hurts and it hurts bad. 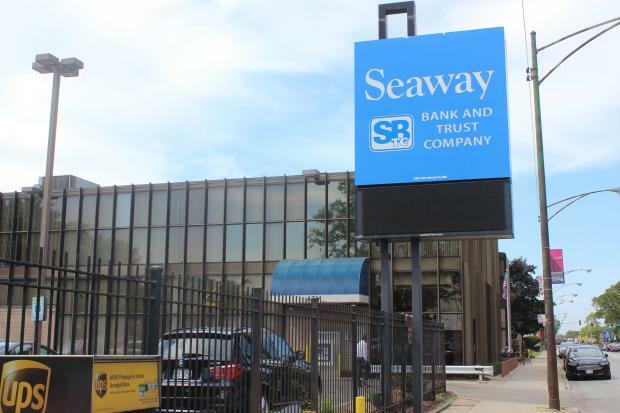 For the full FDIC press release on Seaway Bank & Trust’s closure, click here. In a release on Twitter, Kevin Davenport, Virginia State University’s Chief Financial Officer, announced that President Makolah Abdullah would be establishing a personal banking relationship with Virginia State University Federal Credit Union, which is the fourth largest HBCU-based credit union with $8.6 million assets. It is a move that is prominent after the massive banking black movement began last year. Noted web traffic to HBCU Money would spike anytime there was a police shooting last year to our African American Bank and Credit Union directories. Many African American owned banks and credit unions reporting thousands of accounts being opened and millions of dollars being moved as African Americans looked to take more ownership of their economic power. The movement also coupled with years of financial abuse by banks like Wells Fargo, Bank of America, and others towards the African American community. The decision by President Abdullah is an important moment as college presidents tend to be more a more financially affluent group. Financially affluent African Americans have often been a group that has been missing among African American owned financial institutions as clients, leaving many institutions to try and survive by piecemealing less financially stable customers and contributing to decades of stagnant products and services offered. We hope this will spur many other HBCU presidents to move their banking relationships and continue to set the example for their students and our community that in order to build a stronger African American ecosystem our institutions, all of them, need our support, investment, and patronage. Of course, the major missing piece is moving institutional accounts. HBCUs control billions in institutional money and could significantly enlarge the $10.4 billion that is now controlled by 339 African American owned banks and credit unions left. However, very few African American financial institutions are capable of handling institutional accounts. Currently, OneUnited Bank, the largest African American owned bank or credit union with $648 million in assets, has two HBCUs, Roxbury Community College and Florida Memorial as institutional clients. As the banks and credit unions become more stable with growing deposits from individuals, then they will be able to offer the more complex products that institutions and businesses need. So while President Abdullah maybe just one account, the halo effect could begin a second wave in the #BankBlack movement in 2017 and beyond. All too often we hear about the need for African American consumers to support African American businesses to strengthen our economic ecosystem, but all too often there is forgotten component of this economic ecosystem and that is the business to business relationships. It is another part of the value chain that is vital to circulating the African American dollar. After all, businesses too are consumers. Have you ever walked into an African American owned restaurant and wondered where they get their food from? Did they buy it from an African American owned wholesaler the likes of Sam’s Club or Costco? Did the wholesaler buy it from an African American farmer? Did the farmer buy seeds and feed from an African American owned agriculture supply company? By the time a product actually gets to the consumer it has gone through an extensive value chain of business to business purchases. The B2B market is estimated to be four times the size of the B2C market just in e-commerce and probably even larger in the traditional market. That is why seeing something like what is happening between Mayberry Homes and Unity National Bank is socially and economically very important. Mayberry Homes, a company owned by Texas Southern alumnus Sharone Mayberry, has been an active buyer of land and builder of homes in Houston’s Third Ward community. Bringing many of the community’s dilapidated homes in the area back to life as demand for property in Houston’s inner loop near downtown has skyrocketed in recent year. 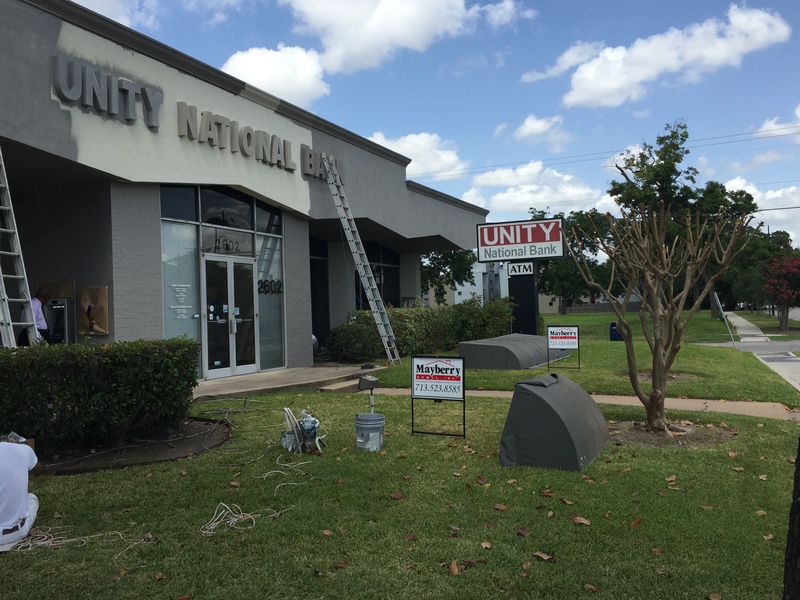 Unity National Bank, founded in 1985 is the only African American owned bank in the state of Texas, is also headquartered in Houston’s Third Ward. If you ride around Third Ward, there are Mayberry Homes signs popping up everywhere so to see their in front of Unity National Bank was quite a statement. The bank’s building has not had a renovation in its thirty years of existence and with the recent surge in demand for accounts, an aesthetic that says to customers we are current and with the times is vital to the customer psychology and rapport. That the renovation is being done by an African American owned company also says to the trust that has long been believed to be absent among the community in trusting each other in business. This is an opportunity to show on an institutional level that we do indeed trust, need, and want each other. That is something that then flows down to the individual consumer level. This is something that should be being taught in HBCU b-schools. That to improve the communities we come from as we launch businesses in those communities that it is important to do business as a business with HBCU/African American owned companies. Although, with less than 1 in 4 HBCU b-school deans and chairpersons having an HBCU degree, it is likely a lesson likely not being taught. Our business schools are teaching business from a general and not from a community or African American perspective. HBCUs have often served as conduits of institution to institution commerce within our community, but rarely is that taught in the classroom as something that should be done. That is something that should and must change if we are too leverage this new found renaissance happening as we see our banking institutions start to actually have the capital they need to eventually make the small business loans back into the community. Seeing the change that Mayberry/Unity are bringing should be a gentle reminder as we go forth that the best way to lift the great weight of economic empowerment and development is to do it together.